With this announcement RØDE now offers eleven different interface options for customers to connect their microphones, including wireless systems from seven different manufacturers. For more information on the MiCon range, including the MiCon-11 please visit www.rodemic.com. Following the release of it iPad-friendly audio interface, iTrack Solo, last year, Focusrite has come up with an all-in-one bundle for iMusicians, presumably just starting that have no recording equipment, or at least nothing decent anyway. Read on for their announcement. Whether you’re an experienced musician or just starting out, iTrack Studio gives you everything you need to record music on your iPad, Mac, or Windows PC. At the heart of iTrack Studio is the Focusrite iTrack Solo: a 2-in, 2-out audio interface with a Focusrite mic preamp developed with over 25 years of Focusrite experience. In addition, there’s a high-quality studio condenser microphone, monitoring headphones and all the cables you need, plus excellent integration with Tape by Focusrite: the beautiful, free recording app for iPad and a suite of recording software and effects for Mac and Windows available Autumn 2013. The quality of the audio interface is one of the defining characteristics of a recording system, and Focusrite is an acknowledged leader in computer audio interfaces. iTrack Studio includes Focusrite’s solid, metal-cased iTrack Solo interface, with an instrument input and a microphone preamplifier designed specifically for Focusrite’s computer interfaces. Record your vocal with the included studio microphone and capture your instrument at the same time on a different track. iTrack Solo ensures that everything is captured as high quality audio – up to 24-bit 96kHz sampling (significantly better than CD quality). It comes with a 30-pin device link cable for connection to an iPad and can be connected to iPad 4 and iPad mini via an inexpensive Lightning adapter – it can also connect via USB to a Windows or Mac computer. You can connect your speakers and the included headphones to the high fidelity/low noise outputs on the iTrack Solo. The matching CM25S studio-quality condenser mic is designed to catch the life and soul of your vocals and acoustic instruments. Clean, smooth and sensitive, it captures every nuance. If you can hear it, you can record it. There’s even a high-quality, 3m long low-noise microphone cable included to connect the CM25S to the iTrack Solo. Meanwhile, the included HP60S studio monitoring headphones give you a clear, unflattering and accurate impression of exactly how your music sounds, so you can get it just the way you want it. And when you play it back elsewhere, it’ll sound great. Plus they’re comfortable, too. Record both channels on iPad with Tape by Focusrite, the beautiful, free recording app for iPad – or use it with Garageband, Cubasis, or any of a host of iPad recording applications. A Device Link cable with 30-pin iPad connector is included to connect your iPad to the iTrack Solo. If you are on a Mac or PC, iTrack Studio includes revolutionary music production software Ableton Live Lite as well as the Focusrite Scarlett Plug-in Suite – which includes EQ, compression and reverb – tried and tested tools to help you perfect your recordings. The Focusrite iTrack Studio will be available worldwide September 2013 for a suggested retail price of $299.99 ($249.99 street). For additional information, check out the Focusrite website. It’s simple to connect a guitar or bass directly into the dock of an iPhone, iPad or iPod touch, and with AmpKit LiNK HD’s snug-fitting cable, the instrument will stay secure while maintaining a strong audio signal. When connected to the optional AC adapter, AmpKit LiNK HD will even charge an iPad®, iPhone®, or iPod® touch while in use. The AmpKit LiNK HD features a high quality construction Peavey is known for, with sturdy jacks and cable connectors and a rubberized non-slip coating that’s easy to handle. On-the-go jamming is easier than ever with add-on accessories such as a belt and strap clip, which makes the device mountable. Players even have control of the guitar input level and headphone output level right at their fingertips using the control knobs located directly on the interface, so there’s no need to launch another app. AmpKit LiNK HD is the perfect companion for the AmpKit app. AmpKit’s in-app Gear Store offers the largest gear selection of any amps and effects app, including 19 amps with 35 separate amp channels, 22 effects pedals, 20 cabinets, 8 mics and more gear on the way. The Peavey amps in AmpKit include the Peavey 3120™, Peavey 6505® Plus, Peavey 6534™ Plus, the Peavey Classic® 30 and Peavey ValveKing®. This exciting new portable MIDI keyboard from CME, not only supports iOS, but as you’ll see from the video below you will also be able to edit and store preferences via an app. It is expected to be available in the next month or two for around $100. Avid has announced two new portable audio interfaces for composing and recording high-quality music — Avid Fast Track® Solo and Fast Track Duo. Both interfaces feature a robust industrial design, include Pro Tools® Express software for Mac and PC, and connect directly to the iPad®, providing high-quality I/O for supported iOS apps. Provides many of the same tools and features used in commercial recording studios. Records up to 16 stereo audio tracks and offers full MIDI editing and notation tools. Includes high-quality virtual instruments and effects for creating the best sounding work. Facilitates time, tempo and pitch adjustments with Elastic Time and Elastic Pitch. Users get session compatibility with Pro Tools and Pro Tools HD systems. Provides ideal form factor for home, studio, and mobile applications. Features a rugged metal chassis and reinforced controls and jacks, offering protection against physical damage. Allows direct monitoring while recording without latency. 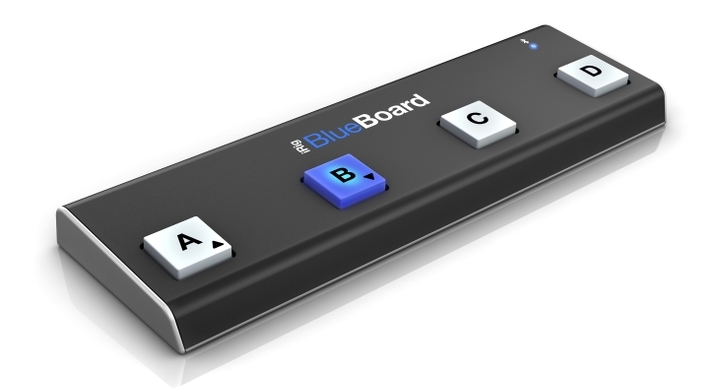 Enables users to create anywhere on Mac or PC with the Bus-powered USB port. Allows direct iPad connection with tablet port — No iPad Camera Connection Kit needed. Fast Track Solo includes one mic preamp and one instrument input. Fast Track Duo includes two mic preamps/instrument inputs and two line inputs. Sonoma Wire Works, makers of the GuitarJack™ iOS audio I/O, have announced GuitarJack 2 USB, a multi-platform I/O interface for Mac, PC, and select mobile devices. 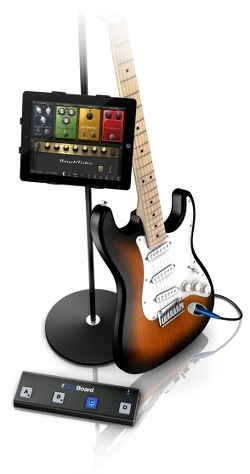 GuitarJack 2 USB eliminates the need for multiple audio interfaces for each device and/or operating system. Together with Sonoma’s LLA™ solution for Android, GuitarJack 2 USB completes a low latency audio reference platform for OEM manufacturers of Android devices. U.S. residents may pre-order GuitarJack 2 USB for the introductory street price of $129 ($199 MSRP) from Sonoma Wire Works Store (http://sonomawireworks.com/store) and it will ship in approximately 6-8 weeks. GuitarJack 2 USB will then be available from select dealers worldwide. Spark Digital is the world’s first studio condenser microphone to offer both USB and iPad connectivity. Expanding on the professional and sound of Blue’s Spark XLR studio microphone, Spark Digital features the same studio-grade condenser capsule and hand-tuned components for high-fidelity recording and consistence performance in any situation– vocals, drums, piano, speech, location recording and more. Rode i16 surround sound microphone! Look, I’m going to go out on a limb here and say this is one of the best April Fools jokes I’ve seen today. Is it real or is it a fake? I REALLY hope it’s REAL!